Our eCommerce Web Design Solutions are designed or otherwise written to attract new customers, deliver a satisfying shopping experience, and streamline the behind-the-scenes management of your online store. A properly built and deployed eCommerce Solution can do more than just show your products and give shoppers a way to purchase them online. It can also help to solidify your brand and and establish your name recognition in an already highly competitive eCommerce Store industry. Our eCommerce builds are pretty flexible and are fully scalable. You’ll never outgrow your eCommerce website. Our eCommerce Solutions are designed for both large and small merchants -- Sell your wares, whether they be clothing, electronics, antiques, vintage auto parts, books, and more. Our eCommerce solutions will also allow you to provide digital downloads for music and video artists all at the click of a button. To learn more about our eCommerce Web Design and all of the features that are included, don't hesitate to contact us. 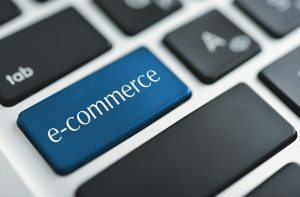 Modern electronic commerce typically uses the World Wide Web for at least one part of the transaction's life cycle although it may also use other technologies such as e-mail.